After failing at 22 jobs, Barbara Corcoran borrowed $1,000 from a boyfriend, quit her job as a diner waitress, and started a tiny real estate office in New York City. Using the unconventional lessons she learned from her homemaker mom, she gradually built a $6 billion dollar business, The Corcoran Group. Now Barbara is even more famous for the no-nonsense wisdom she offers to entrepreneurs on Shark Tank, ABC's hit reality TV show. 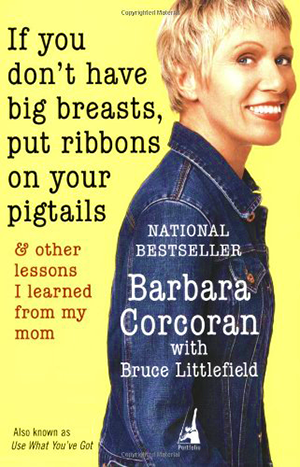 Highly motivational and sensationally entertaining, Barbara Corcoran’s recipes for success are chock-full of real life lessons. Not to be missed! Barbara Corcoran built the largest residential company in New York City, The Corcoran Group, and she did it with great people by her side. Barbara shares her best strategies for getting teams motivated and moving forward, for hiring the right people and firing the wrong ones, for creating an atmosphere of fun that breeds constant innovation, and for forging ahead, even when the chips are down. Barbara’s unique and practical lessons will help salespeople, managers, and business owners take their businesses to the next level. ③ What Are the Sharks Really Like? Take a five-minute speed ride behind the scenes of the ABC hit reality show, Shark Tank. Do all the Sharks get along? What happens when the cameras are gone? What is Kevin really like? Is billionaire Mark Cuban a nice guy? Are we actually investing our own money? Is the show scripted? Do they get information on the businesses before the trembling entrepreneurs step on the set? How long is an actual pitch? Through dozens of photos, Barbara takes you on set at Sony Studios for all the shenanigans, bloopers, and private information that the other Sharks don’t want you to know. Barbara’s sensational stories will have you in stitches—and clamoring for more! Innovation may be the single most important key to success in today's highly competitive marketplace. Barbara reveals how to create an image bigger than the reality, use the press to get free publicity, and turn yourself into the leader in your field. She shares her innovative ideas, insights and anecdotes on building a thriving business and a successful brand in today's marketplace. People DO judge a book by its cover. In today’s world, a recognizable brand determines half of your success. 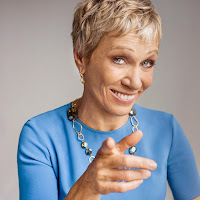 Barbara Corcoran, founder of the best-known brand in New York City real estate, shares her diehard advice on how to create a big image, use the press, and turn yourself into THE ‘go-to’ expert in your field. As a shark/investor on ABC’s hit reality show, Shark Tank, Barbara Corcoran has heard it all—and knows exactly what it takes to get her to open her wallet. Barbara can teach anyone to craft a perfect pitch and how to avoid the most common tripwires. Here’s the inside scoop straight from the shark’s mouth! As a star and investor on ABC's hit TV show, Shark Tank, Barbara Corcoran has become a household name and has established herself as one of the most successful real estate entrepreneurs in the country. Since she began investing her own money in entrepreneurs and their ideas, she’s helped successfully launch more than two dozen businesses, ranging from apparel to skin care to custom bicycles. With straight D's in high school and college, and 20 jobs by the time she turned 23, in 1973, Corcoran borrowed $1,000 from her boyfriend and quit waitressing to start a tiny real estate company in New York City, which she called The Corcoran Group. Over the next 25 years she would parlay that loan into a $5 billion real estate business, the largest and best-known brand in the entire sector. The author of two national bestselling books, her newest book, Shark Tales, takes you behind the scenes of her life, business and her 'seen on TV' venture capitalism. A columnist for More Magazine, The Daily Review, New York Daily Newsand Redbook, she is also the real estate contributor to NBC's Today show and host of CNBC’s The Millionaire Broker with Barbara Corcoran. With her signature tell-it-like-it-is attitude, Corcoran delivers unique insight on the importance of innovation in today’s marketplace and shares tips on how to stay relevant, competitive and recognize when it’s time for reinvention. A brilliant identifier of opportunity and talent, she reveals valuable perspective on leadership, motivation and drive, offering practical insight and strategies to establish and lead teams to greatness.